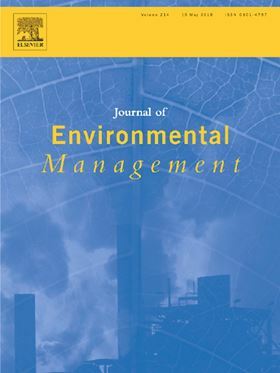 The review article 'Wave energy to power a desalination plant in the north of Gran Canaria Island: Wave resource, socioeconomic and environmental assessment' has been published in Elsevier's Journal of Environmental Management (Volume 231, 1 February 2019, Pages 546-551). The Canary Islands are recognized as an area of particular interest to exploit and to promote the use of renewable energies as a way to reduce its energy dependence on fossil fuels and ultimately reach energy self-sufficiency and sustainability. A common major problem in mid-latitude small and remote islands is the low annual precipitation rate and the associated freshwater scarcity, leading to the installation of desalination plants powered by oil. In this context, the assessment of wave energy potential along with socioeconomic and environmental factors in a selected area at the north side of Gran Canaria Island shows that wave power availability is adequate for its exploitation and there are no sources of potential conflicts that prevent the installation of wave energy converters. In particular, the harvesting of wave energy to power existing seawater desalination plants, fully based in the use of oil, is considered as a viable, appealing and advantageous alternative over the direct injection to the electric network. This study estimates the energy requirements to expand seawater desalination capacity to meet the potable water needs of water-stressed regions in the US. The reverse osmosis process and the adsorption cycle are integrated to produce a hybrid system. Abundant cheap and clean renewable energy sources are a promising alternative for powering modern desalination processes.